Corpus Christi, colloquially Corpus is a coastal city in the South Texas region of the U.S state of Texas. The county seat of Nueces County, it also extends into Aransas, Kleberg and San Patricio Counties. It is 130 miles southeast of San Antonio. 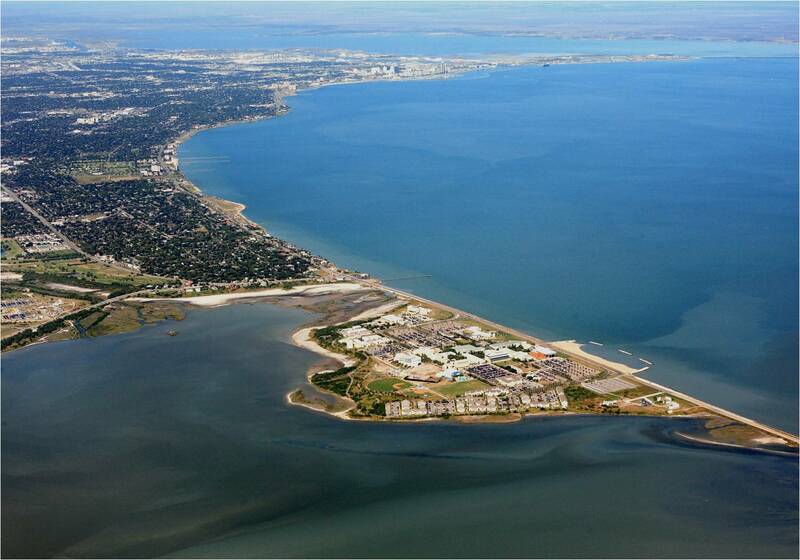 Its political boundaries encompass Nueces Bay and Corpus Christi Bay. Its zoned boundaries include small land parcels or water inlets of three neighboring counties. The city’s name means Body of Christ in Latin. The name was given to the settlement and surrounding bay by Spanish explorer Alonso Alvarez de Pineda in 1519, as he discovered the lush semitropical bay on the Catholic feast day of Corpus Christi.The city’s nickname is „Sparkling City by the Sea“, particularly featured in tourist literature.